Right now, even humans are getting antsy about Mother Earth. Things are literally heating up, and lots of movies are focused on establishing colonies on other planets. Last year, Matt Damon showed us how to persevere on Mars in The Martian. And in 2014's Interstellar, a global crop blight made the planet uninhabitable, and Matthew McConaughey and Anne Hathaway's exploration was the only hope. What we're not seeing in pop culture these days is the possibility that otherworldly beings are doing the same, and I bet that's because, at this rate, aliens would never want to invade Earth. 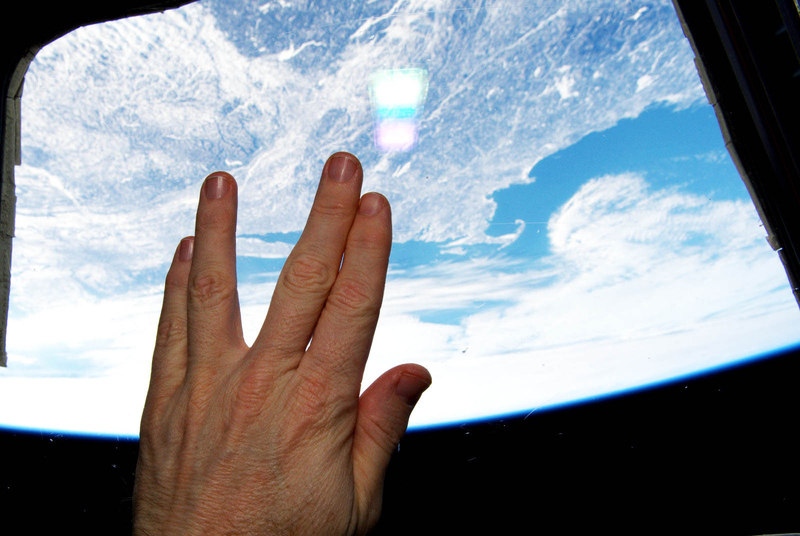 This renewed obsession with space exploration doesn't stop at Hollywood. Look at the efforts by Elon Musk to launch rockets with Space X. It's had hiccups, but successfully landed its first test rocket in December. Virgin Galactic has had trouble too, but the fact that they pioneer on shows that the demand to leave the home planet remains. Mars One's CEO Bas Lansdorp said last year that it will just take one billionaire's interest to make their space colony a reality. Aliens aren't stupid. When they see us heading for the celestial hills, they'll pull a U-turn and high tail it to the next galaxy. And if they do any investigating, they'll find many reasons to give up their invasion fantasies and avoid Earth at all costs. Sure, it's bad for humans. But think about all the reptilian or amphibious space invaders. They might be even more miserable. As these photos make it to distant worlds, the more that aliens learn about our species... and the less attracted they are to join us here. Assuming there's no mass annihilation, we'd likely be the majority for a while. Let's be honest. They probably have like 9G by now if they've flown all the way here. Just imagine trying to run other worldly technologies with our relatively slow connections. Speaking of Earth infrastructure, imagine they don't bring their Star Trek-like transporters with them? I can't imagine they'd want to subject themselves to this. Humans spend eight hours a day sleeping — and the lucky ones even more. Aliens might not necessarily need to rest so much, or they might need more. Think of working out your sleep cycle when the length of a day is different. Rough. Humans are confusing. What does this even mean? Spock would be so confused. Humans have perfected mocking and parodies. They're likely different than us in countless ways, and we don't have the best track record accepting people that are different. Maybe they're not going to invade because Will Smith didn't catch them all. Maybe they're here walking around already.